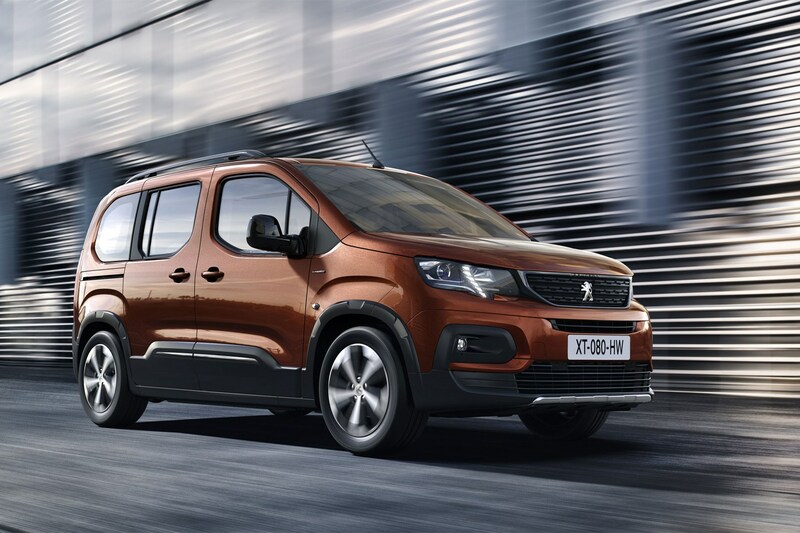 Here we have the first official pictures of the new Citroen Berlingo, Vauxhall Combo and Peugeot Partner for 2018, which have now been revealed in their passenger carrying variants, the Citroen Berlingo Multispace, the Vauxhall Combo Life and Peugeot Rifter. 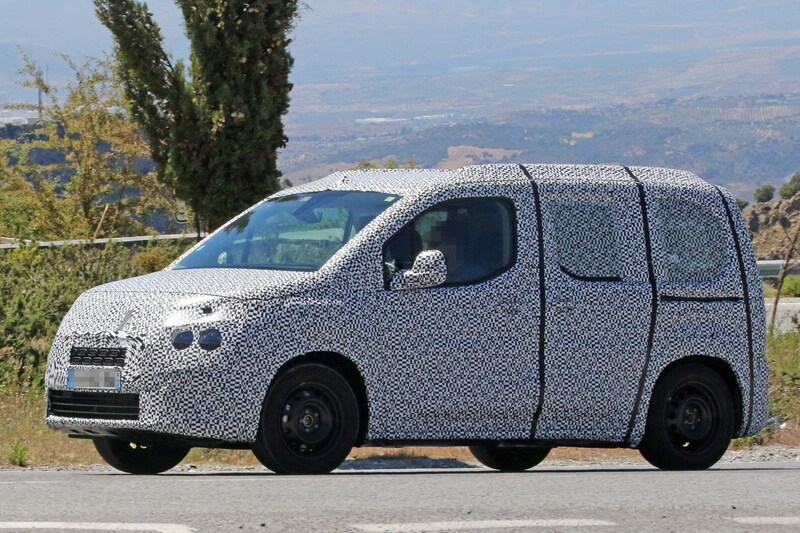 We're expecting full details of the van variants soon, but these new MPVs do at least give us a good idea of what the new models will look like on the outside. 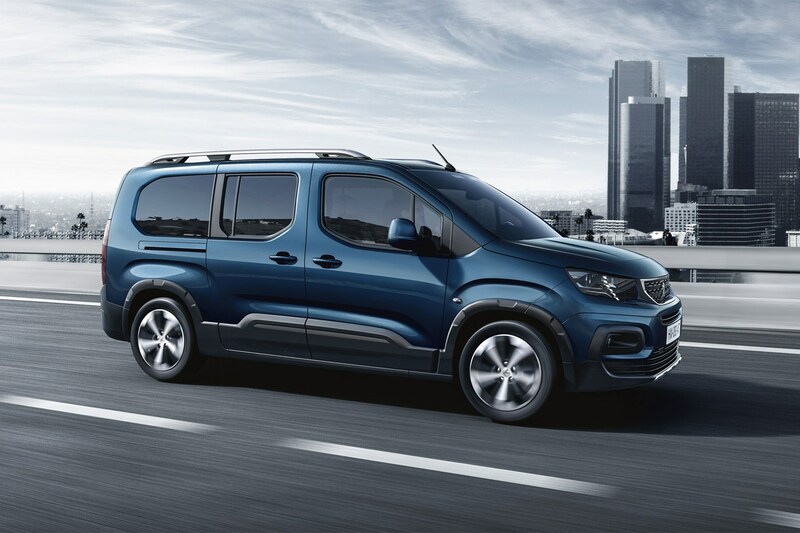 You might note that the Peugeot has changed its name, going from Partner Teepee in previous passenger carrying form to the new Rifter. We're still expecting the van to be called the Partner. 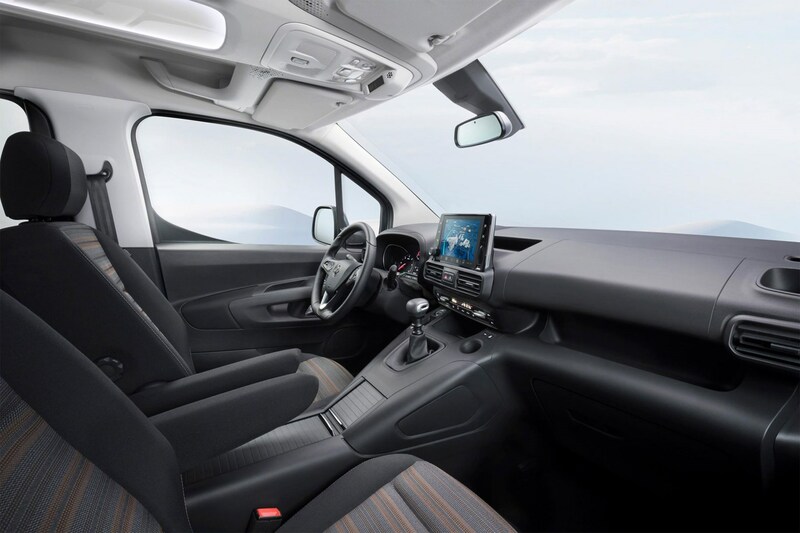 The passenger versions got their public debut at the Geneva Motor Show in March 2018, and while these do have rather posh interiors packed with seats and lots of glass, the basic metalwork should remain the same. 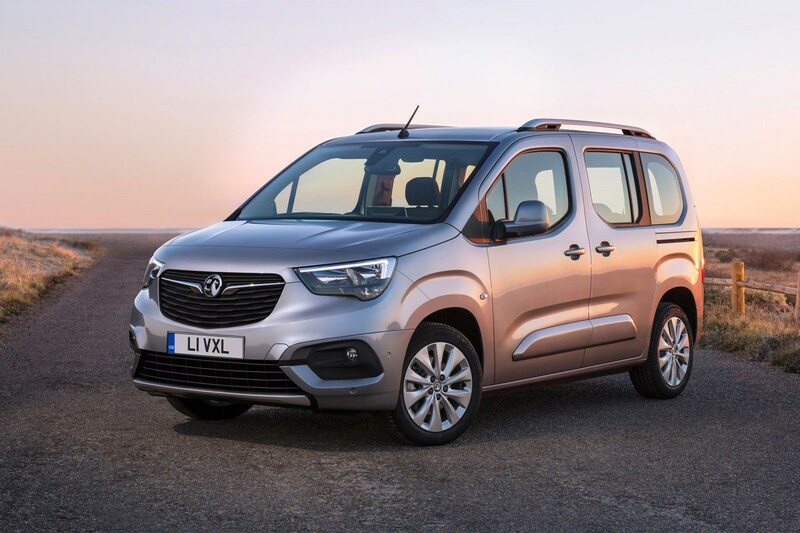 There are no specific details of the van versions as yet, but the official information about the Berlingo Multispace, Combo Life and Rifter does reveal plenty that applies to the light commercial vehicles (LCVs) as well. 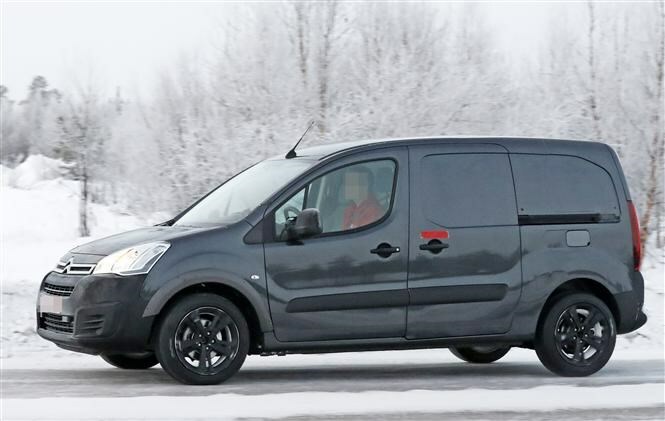 The Berlingo's new styling (above), for instance, clearly adopts the latest Citroen looks, as already seen to a certain extent on the mid-size Dispatch van, as well as the French firm's newer car models. The Vauxhall Combo Life (above), meanwhile, displays it's own distinctive front end design; it's actually quite impressive how much has been changed versus the Citroen, but once you get to the sides, the relationship between the two vehicles is clear. The Peugeot Rifter (above) also gets an individual look, with a bit more of an SUV exterior design than the other two - hence the plastic wheelarch cladding. This is unlikely to be the same with the van, but we suppose it would add extra protection. 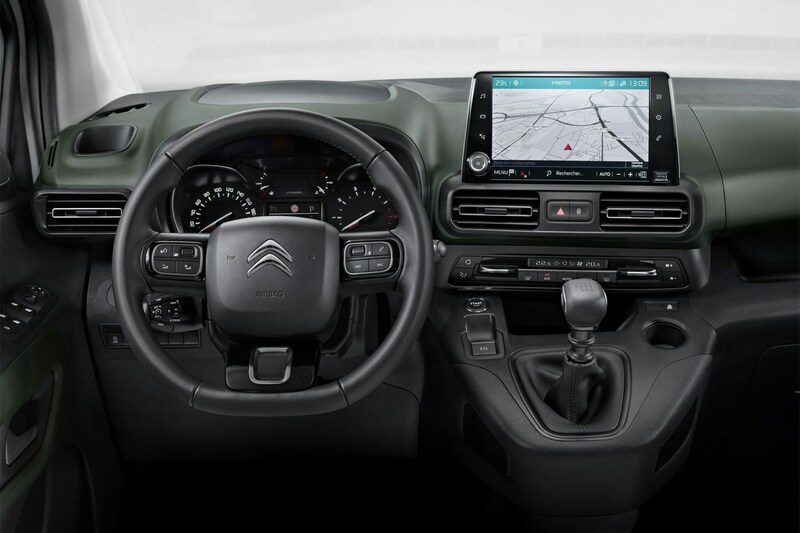 The Rifter has a different dashboard design (above) to the other two (Citroen pictured below) as well, using a smaller steering wheel and higher-set instrument cluster - an approach Peugeot calls iCockpit. We'll have to wait and see whether the Partner van follows this approach. 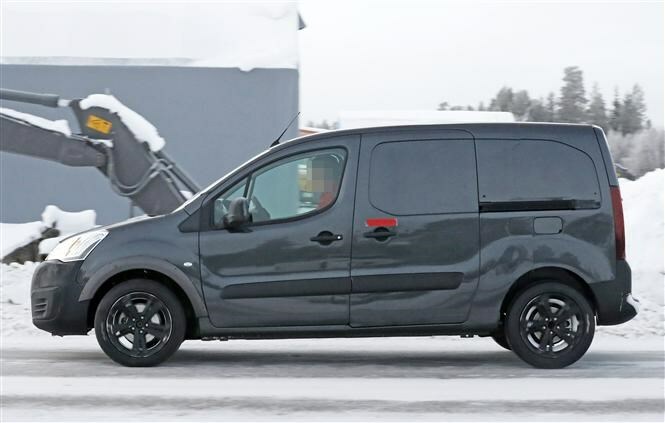 Under the skin, the new vans uses a combination of current structural parts at the rear combined with brand new ones at the front, taken from the modern PSA Peugeot-Citroen EMP2 platform. The advantages of this half-and-half approach are said to be a better turning circle and electric power steering (more fuel efficient than the older hydraulic power steering) together with plenty of load volume. 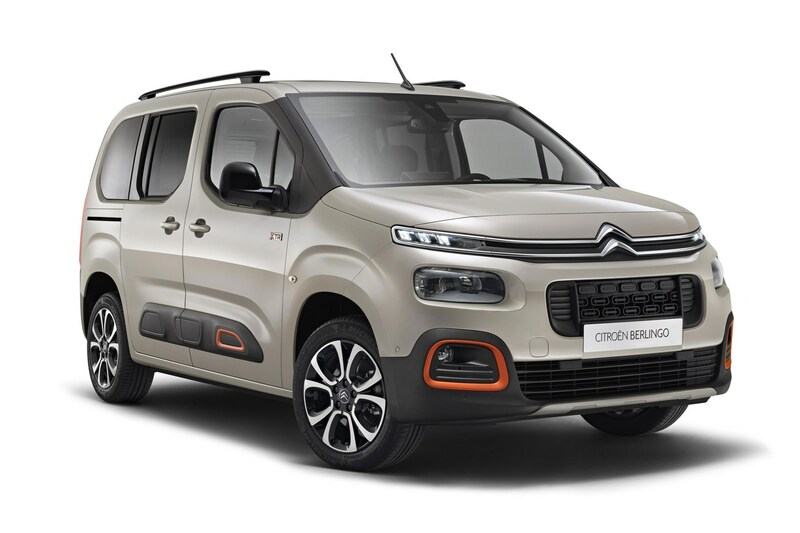 We won't know the exact amount of space until the vans are properly unveiled, but Citroen has confirmed the maximum load length for the Berlingo Mulispace at 2.70m for the standard-sized M model and 3.05m for the longer XL variant. 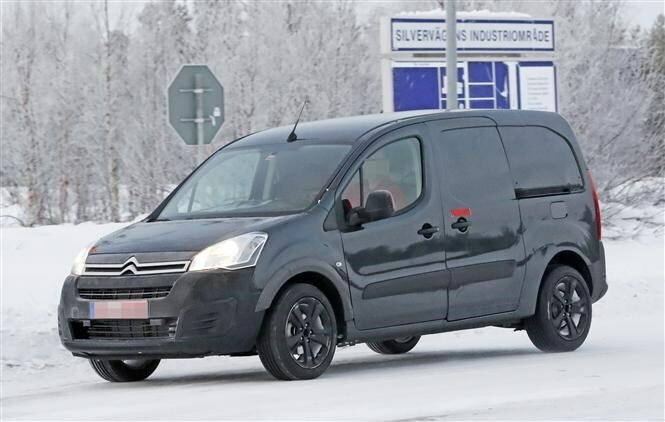 This should prove broadly similar for the vans, which will again be available in short-wheelbase (SWB) and long-wheelbase (LWB) bodystyles. The passenger vehicles also features an extensive range of safety equipment, and though we'll have to wait and see how much of this makes it onto the vans, the chances are most of it will. 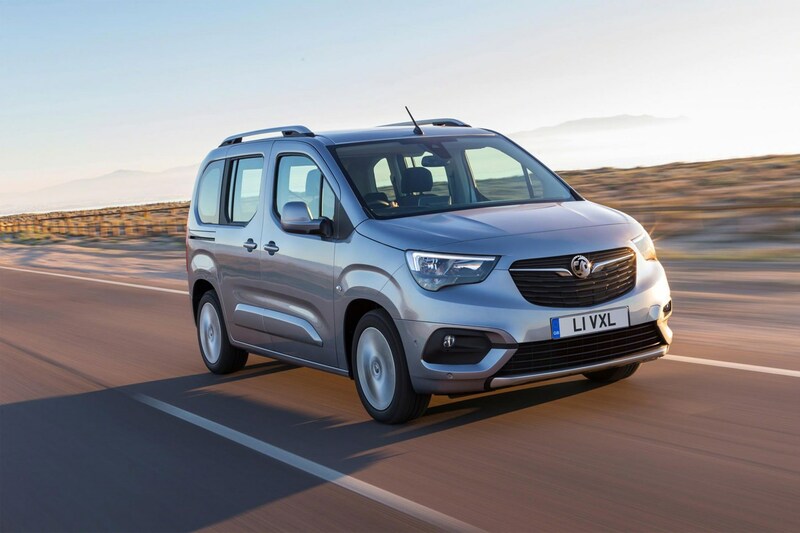 Similarly, the people carriers are powered by a range of 1.2-litre Puretech turbo petrol engines and 1.6-litre BlueHDI turbodiesel engines, and the vans should offer the same choice. A new eight-speed automatic gearbox option is expected to appear alongside the standard five- and six-speed manual transmissions. 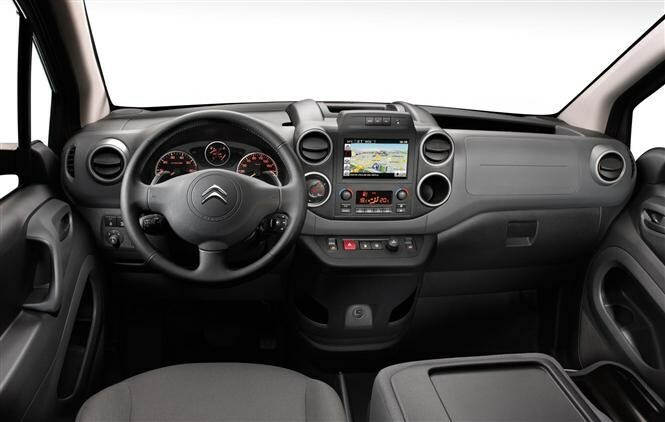 We'll bring you more into on the 2018 Citroen Berlingo, Peugoet Partner and Vauxhall Combo as soon as we have it. 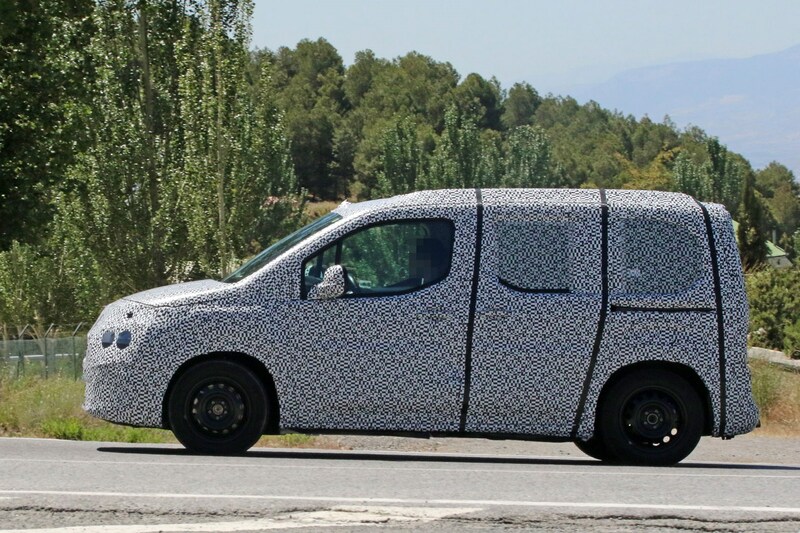 In the meantime, you can still check out our original spyshots of these important new small vans below. 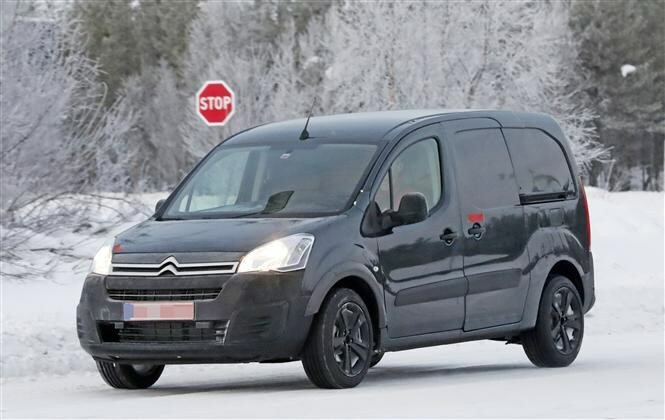 PSA Peugeot Citroen confirmed back in 2015 that it would introduce a new generation of Berlingo and Partner small van in early 2018. Vauxhall then revealed its next Combo would also be based on the same new design. The first round of spy photographs duly arrived in January 2017, followed by another set in June 2017 - here's what we made of them. 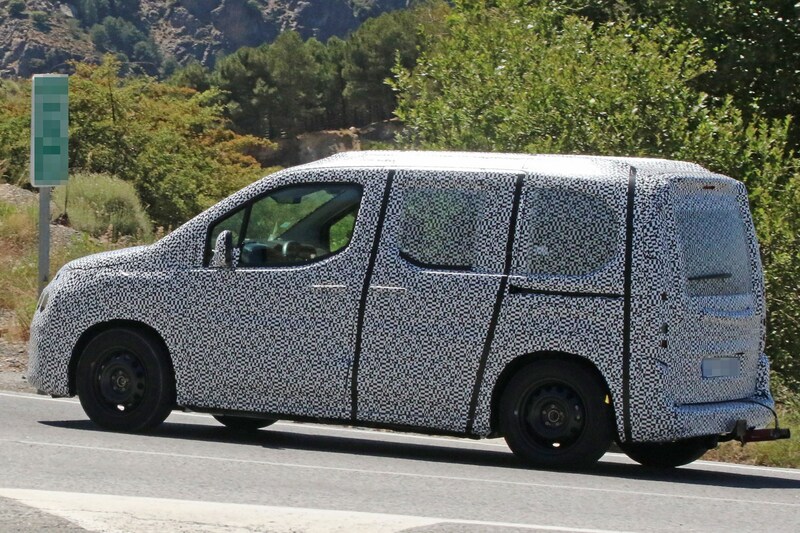 As with the original spyshots (see below), most of the images from June 2017 are focused on the Citroen Berlingo – though if you look closely you’ll see there is a Peugeot Partner in the background of one of the shots. More obvious, however, is that these prototypes appear to be more heavily disguised than the last one. 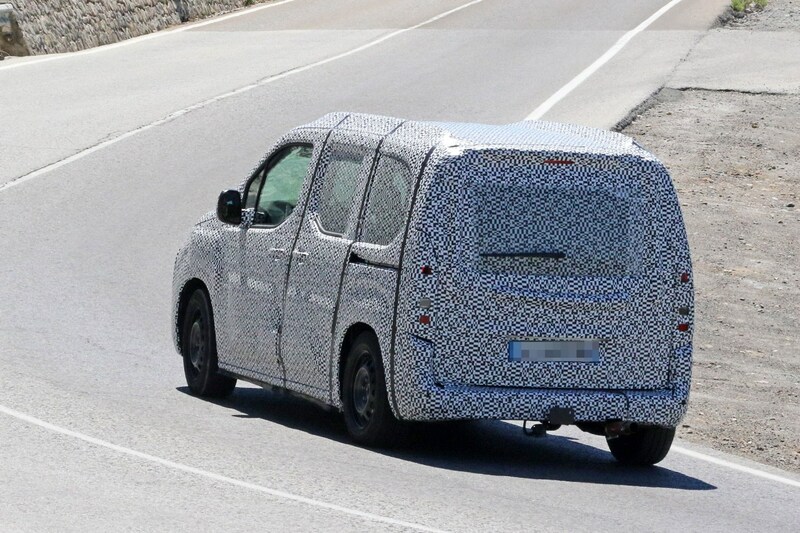 This isn’t just because these are fully-windowed passenger-carrying (Berlingo) variants – rather, it’s because they’re now wearing the proper production bodywork. The previous prototype was an engineering ‘mule’, a new platform clothed in the old body. Hence there are no stuck-on wheelarch extensions or strangely fitting panels in these recent images. 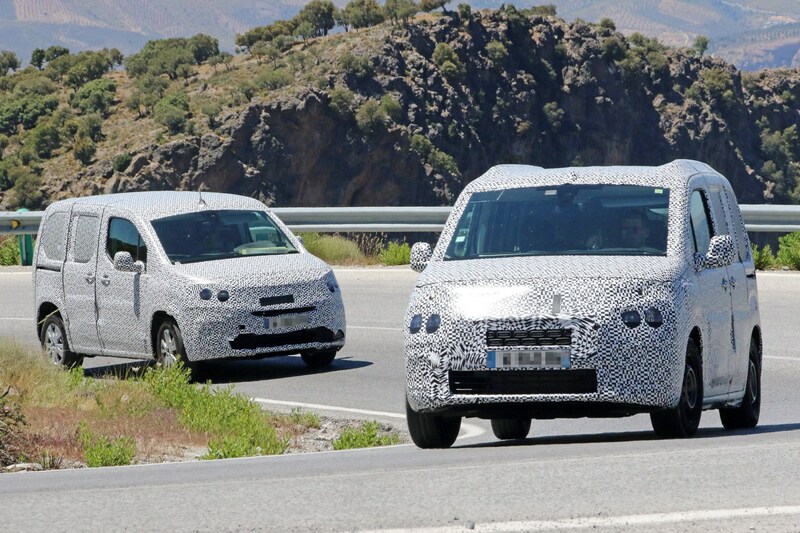 What can we tell about the new 2018 Citroen Berlingo and Peugeot Partner from the latest spy photographs? 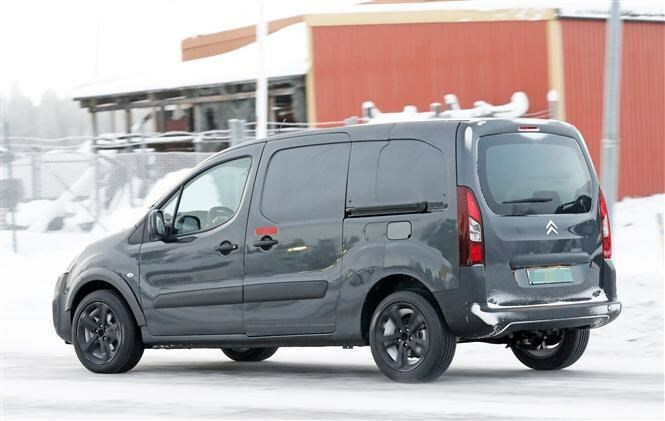 The disguise is fairly extensive, but it’s not hard to see that the new vans are wider than before while retaining the boxy proportions that make the current generation so practical. 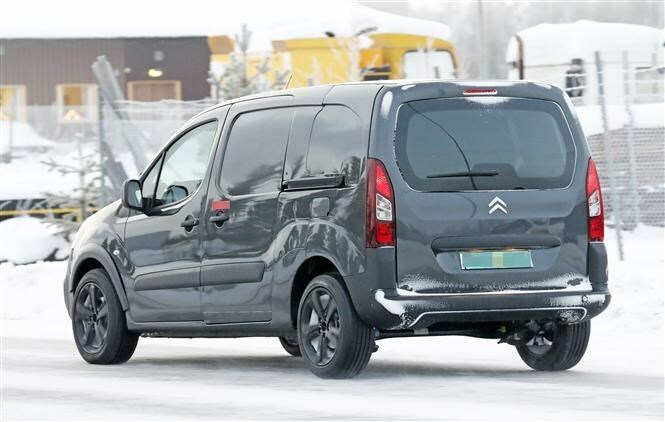 What it’s possible to make out about the styling through the fuzzy-patterned camouflage suggests cues have been carried over from the all-new Citroen Dispatch and Peugeot Expert, launched in 2016. Ignore the bold door markings, incidentally. They appear to have been added in tape to disguise what seems to be a much larger side opening. Will the Peugeot and Citroen versions be very different? Not at all – with changes between this traditional pairing (and their additional Vauxhall Combo partner) limited to mildly different lights and grilles. Our industry insiders tell us it’s the LED daytime running lights (DRLs) that split the difference between the Citroen and the Peugeot in the pictures; the DRLs are supposedly mounted above the headlights in the former and below them in the latter. 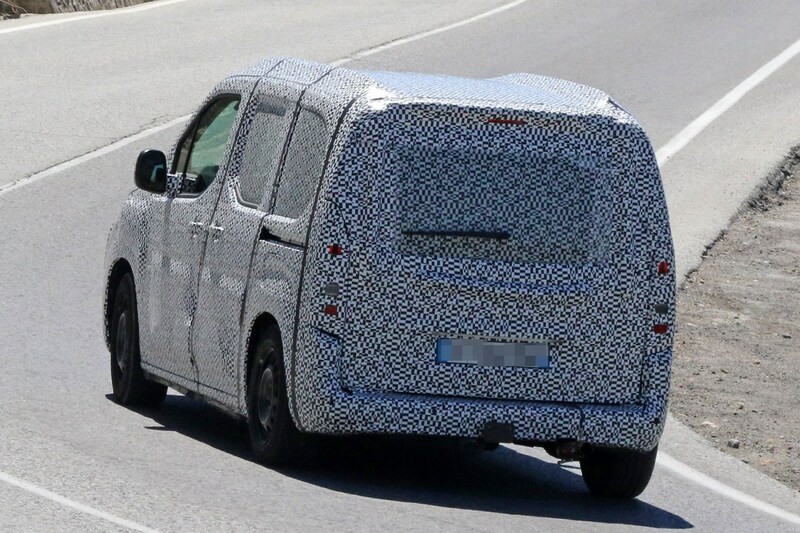 How do the new van spyshots compare to the old ones? 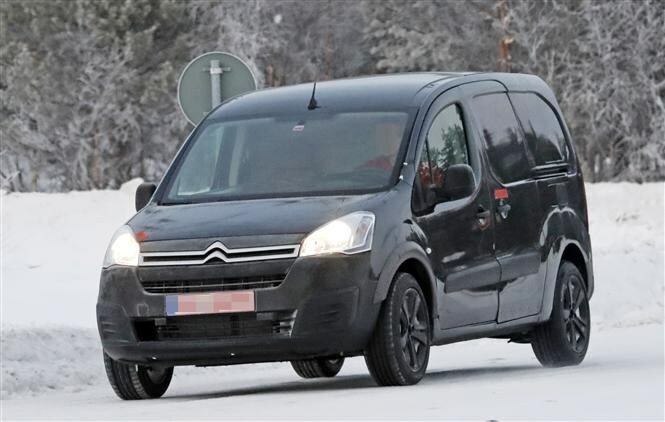 Caught winter testing in in January 2017 with Citroen badging, at first glance it appears there are few obvious changes between this prototype and the current Berlingo. But if you look a little more closely you’ll see a number of things that aren’t quite right about it. In other words, it’s what’s known in the industry as a ‘mule’ – a new vehicle dressed up to look like an old one. 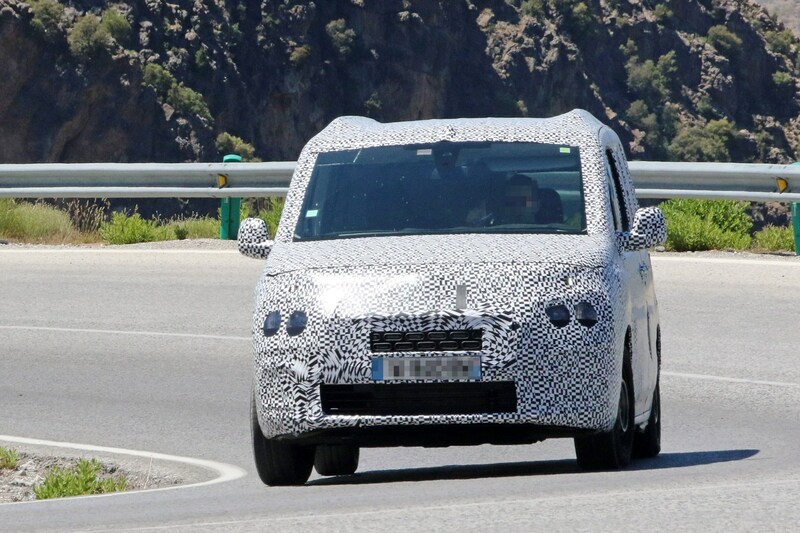 Key pointers that there’s a new platform underneath the familiar-looking Berlingo body include the added-on wheelarch lips at the front, the way the side door overhangs the sill at the bottom and the strange join in the rear side panels – a kind of crease that goes from the wheel arch up to roof, suggesting the panels have been hastily extended. 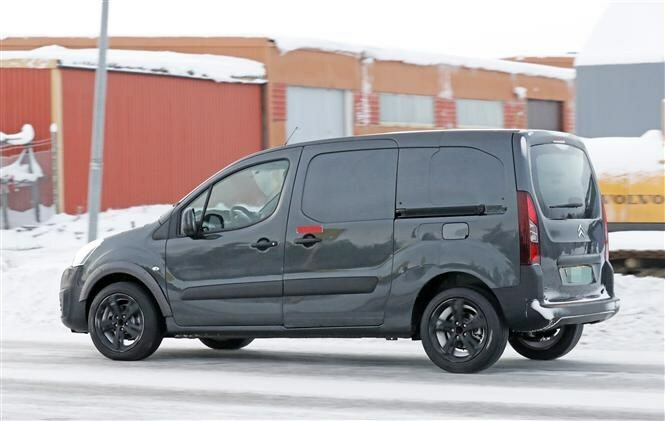 These modifications all fit with what we’ve already reported about the forthcoming Berlingo, Partner and Combo triplets. 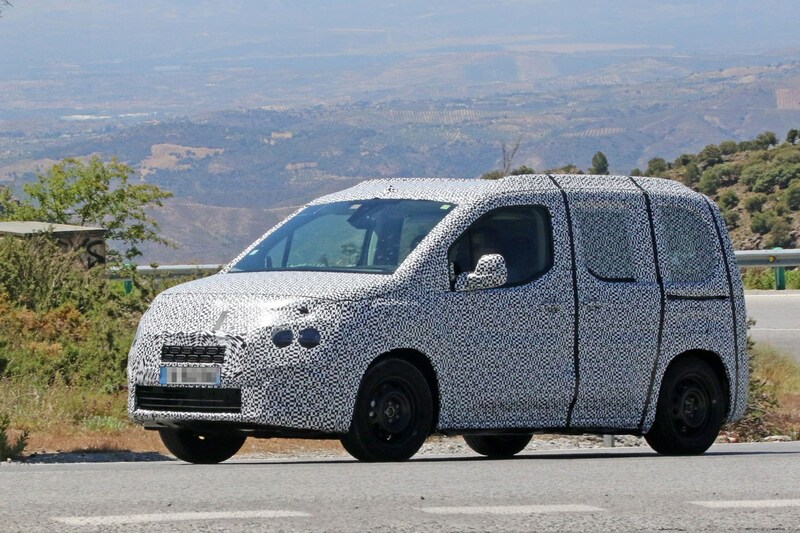 There is very little official information about the 2018 Citroen Berlingo, Peugeot Partner and Vauxhall Combo at this stage. But we can go all Sherlock and make some logical guesses about what will change and what will stay the same. For starters it’s likely they will retain the same 1.6-litre diesel engines that power the current generation. 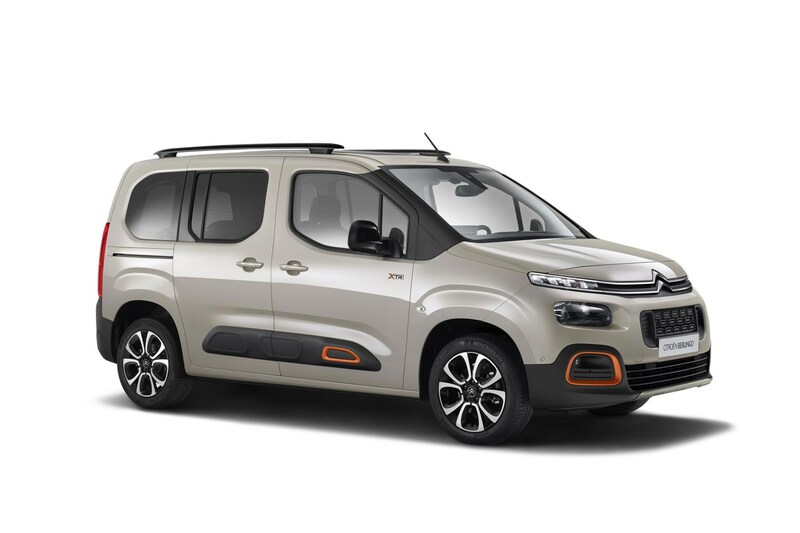 These have just been updated to Euro 6 specification, improving fuel economy and performance – an area where the Berlingo and Partner were beginning to lag behind rivals – and have also carried over into the brand new generation of larger Citroen Dispatch and Peugeot Expert. Body dimensions, on the other hand, are expected to increase. The current maximum load length of 2,020mm and 3.7 cubic metre capacity falls well short of the 2,200mm length and 4.2 cubic metre capacity some rivals now offer. 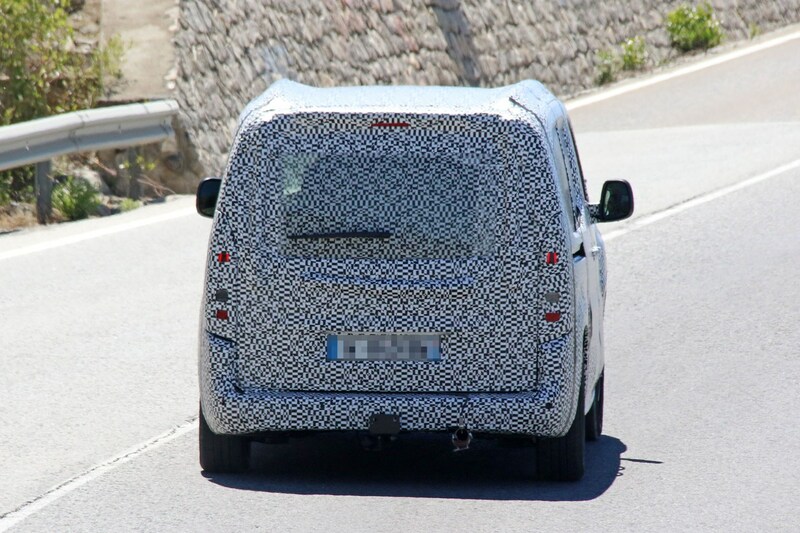 The wheelarch extensions and strangely distorted bodywork of the prototype in the spy photos both point to the new generation’s enlarged dimensions. At the same time, payload capacity is likely to go up. The current maximum is 876kg, reduced by the Euro 6 engines due to the addition of an AdBlue tank for emissions control. 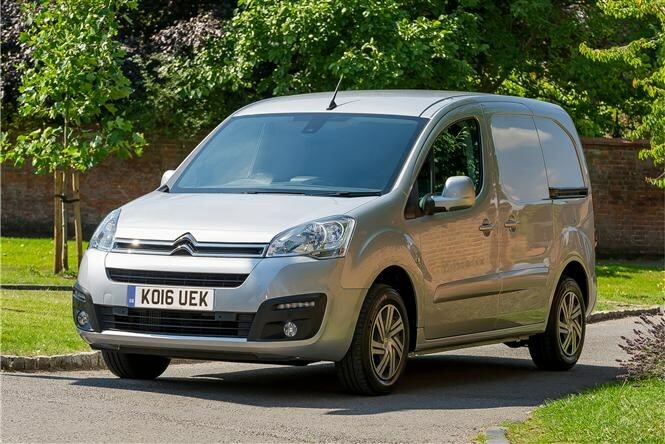 Some rivals now carry over a tonne (1,000kg) – see our list of the best small vans for payload by clicking here – meaning this is an area where the new Berlingo and Partner definitely need to improve. 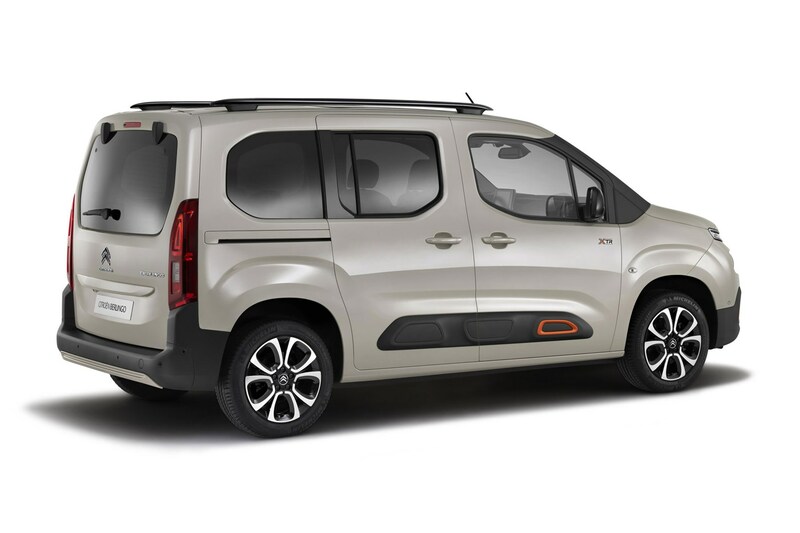 The original Citroen Berlingo (pictured below) and Peugeot Partner were launched in 1996, and since then these models have racked up over six million sales – making them some of the best-selling vans of all time. The current generation (pictured below) launched in 2008, and they are now the oldest vans in their segment; by the time the new models go on sale in 2018 they’ll have lasted a decade. 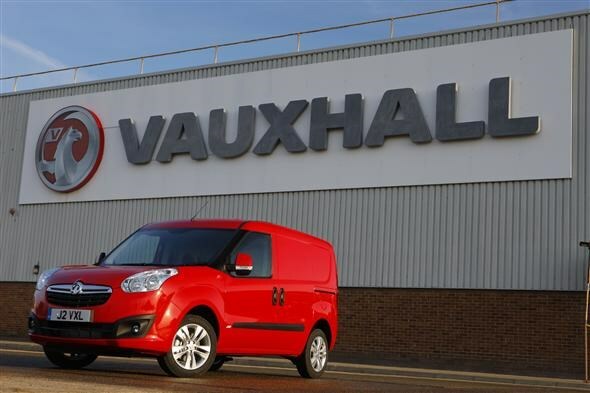 The official announcement of the new Berlingo and Partner came in a joint statement between PSA Peugeot-Citroen and General Motors (GM is the parent company of Vauxhall) in 2015, which confirmed they had joined together to launch three new small vans. The third being the next Combo; the current Combo is a variant of the Fiat Doblo. 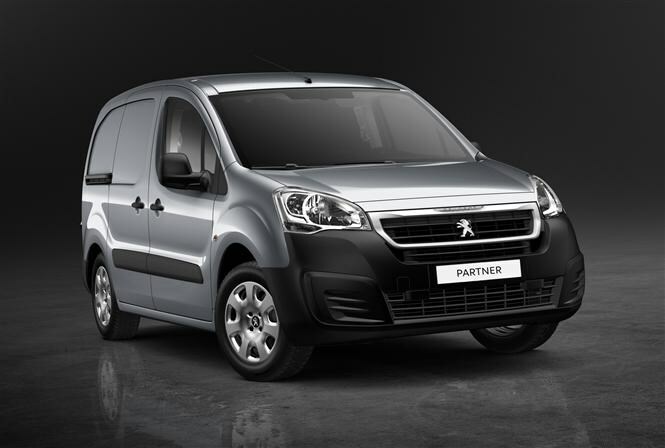 All three new vans will be built in Peugeot-Citroen’s second-largest European factory – PSA Vigo in north-western Spain. 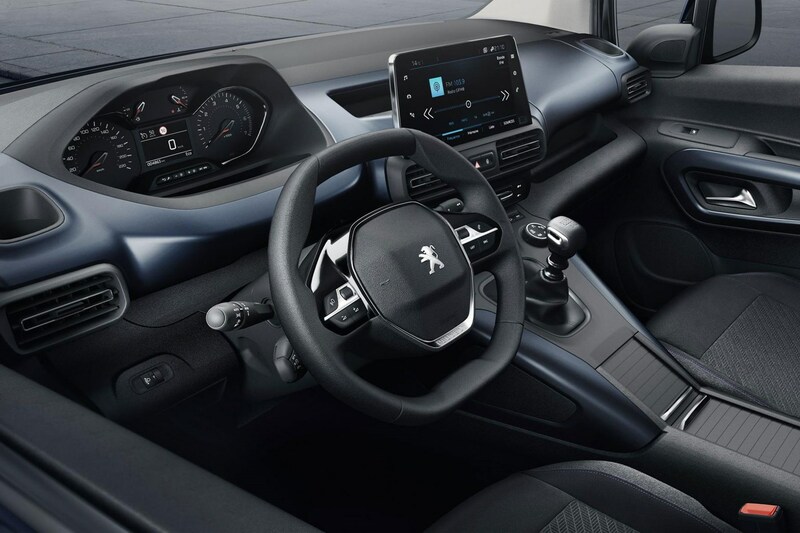 The French versions are also among the eight new light commercial vehicles (LCVs) that PSA boss Carlos Tavares announced in the firm’s ‘Push to Pass’ 2016-2021 growth strategy. Will the new Berlingo and Partner still be affordably priced? Since value is one of the big reasons for the current Berlingo and Partner’s success, we don’t anticipate a massive price rise when the new generation is introduced. That said, an increase in on-board technology is almost inevitable – in terms of both infotainment and safety – so it’s unlikely the pricing will remain totally static. As ever, you can always hunt for a deal using the Parkers Vans for sale section. First official details of the new Berlingo, Partner and Combo are now expected in Spring 2018, ahead of the new vans going on sale later in 2018..